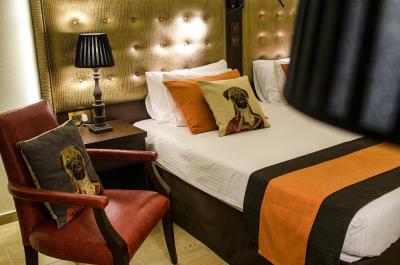 Lock in a great price for AX The Victoria Hotel – rated 8.9 by recent guests! We liked the free upgrade to a luxury suite. Other items we liked: 1. the breakfast was excellent. 2. the staff was very professional and helpful. 3. all public areas were very clean. The hotel staff was amazingly kind and helpful whenever needed. Amazing customer experience! 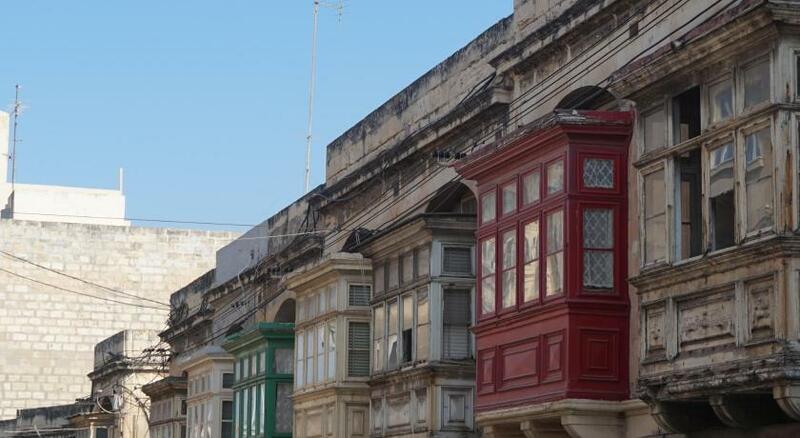 The hotel was in an excellent location, only a 5 to 10 minute walk away from the coast, and a 10 minute walk from the ferries that go across to Valletta, and buses to other areas of the island. The staff were all very friendly and helpful. The breakfast was a traditional buffet style. The room was spacious, the bed comfy and everything clean. I was very glad for the air conditioning! the amazing bed and great shower, also the extremely happy and friendly staff! - Nice decor throughout hotel. - Great pool(s) and gym. - Friendly and helpful staff. - Nice lighting options in the room. - Reasonably priced room service. The staff are very good, pleasant, accommodating, helpful and efficient. The staff help to make this a very pleasant place to stay. The location provides good access to many restaurants, pubs, buses and the ocean. The rooms are a good size, quiet, with good curtains to help facilitate sleep. The breakfast is large and provides many options including buffet and or omelet station. The staff is very friendly and the room was spotless. The location is good as it is a short walk to the waterfront. If you need a taxi, the staff arranges everything for you. The breakfast buffet was quite nice. We especially enjoyed the made-to-order omelettes. The on-site spa is fabulous. The rooftop swimming pool was cute and with nice views, they also have fitness that contains good facilities. Staff was very friendly and helpful. Because we left at 5:30am, so we ask if reception can prepared goodies for us on the way, and they did it, that was very sweet. Nice comfy bed. Spacious room Great pool and views, nice indoor pool with steam room and sauna. AX The Victoria Hotel This rating is a reflection of how the property compares to the industry standard when it comes to price, facilities and services available. It's based on a self-evaluation by the property. Use this rating to help choose your stay! 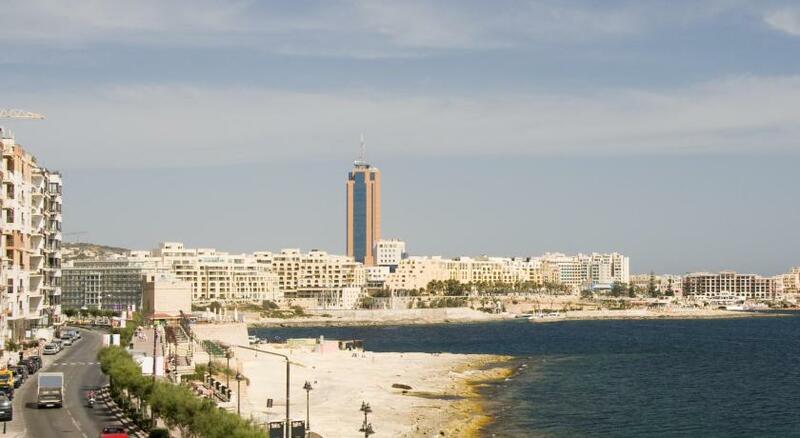 One of our top picks in Sliema.Offering a rooftop terrace with pool, The Victoria Hotel - AX Hotels is a 4-star boutique hotel in Sliema center, 0.6 mi from the Point Shopping Mall and just a 5-minute walk from the seaside promenade. It features a luxury spa and free WiFi is available throughout. Rooms are spacious and come with either a fresh Mediterranean blue design or elegant Victorian décor. 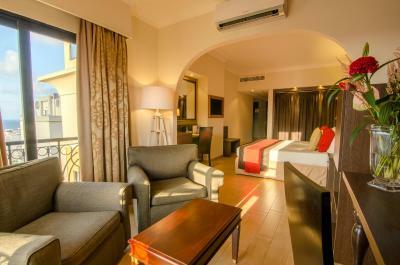 All air conditioned, they also feature tea and coffee-making facilities and a Smart TV with international channels. Guests are welcomed into the charming Victorian lobby with a fireplace and Chesterfield sofas. The entire top floor is dedicated to wellness and includes a gym, indoor pool and spa. A buffet breakfast is available each morning, while The Copperfield's Restaurant offers dishes from the Mediterranean cuisine. Penny Black Bar serves English teas and refreshing cocktails. Taxi services can be arranged at reception. When would you like to stay at AX The Victoria Hotel? With a large balcony and either Victorian or Mediterranean décor. It also includes a Smart TV, tea/coffee facilities and minibar. Featuring either Victorian or Mediterranean décor, this room includes a smart TV, tea/coffee facilities and minibar. Spacious suite with lounge, 2 balconies, a Smart TV, and a luxurious Victorian design. Spacious suite with lounge, a balcony, a Smart TV, and a luxurious Victorian design. Featuring a balcony and partial sea views, this room includes a Smart TV, tea/coffee facilities and mini-bar. The Victoria Hotel is a superior 4 star city hotel with a classic design. Every aspect of its design revolve around the classic, from the Chesterfield sofas in the lobby to the traditional wooden bar at the Penny Black, the hotel's main bar. House Rules AX The Victoria Hotel takes special requests – add in the next step! AX The Victoria Hotel accepts these cards and reserves the right to temporarily hold an amount prior to arrival. Clean comfortable. Balcony a bonus. Great value with half board. Breakfast very mediocre, and the fresh fruit very poor indeed for a Med island base. Unless the dependance of Palazzo Capua is extremely beautiful and full of style, the fact of have to cross the street to go at the Front Desk, into the Breakfast Room, at the gym, at the pool, can result a little unhandy. The indoor pool was smaller than I had imagine. Extremely professional staff, huge room and bathroom, good breakfast, nice gym. Would have liked net curtains as room was overlooked so needed to close them for changing. Very clean. Reception staff friendly and helpful. Comfortable spacious room with lovely lighting. There was not much to not like, however a more detailed map of the area or the entire Malta could be provided by the hotel. The breakfast was very nice and a good selection. The variety could be a bit better though. The location was excellent for our stay as we were close to restaurants, shops and the sea side. Dark decor. Cold swimming pool. Lack luatre dining room, buffet style eating in dining room at night (so gave it a,miss) Set in residential area - no sea view or watching the world go by from balcony. The rooftop was our saviour! The staff were lovely. Within walking distance to Spinola Bay (half hr brisk). Wide choice of food for breakfast, English, continental, omelettes & eggs to order (& a selection of cakes - cant comment on them because cakes are just wrong for breakfast!). Ate in the bar a couple of nights, lovely food, good price & portion size v generous (we shared a pasta). Breakfast could be a little bit more diversified throughout the stay. Great hotel facilities in the center of Sliema. 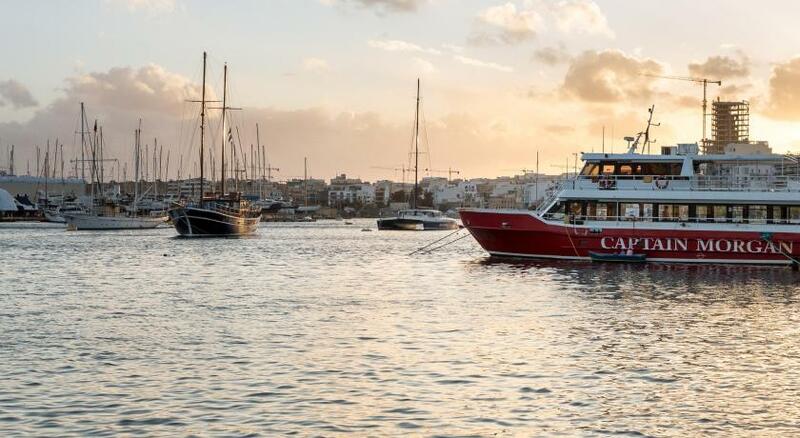 The hotel is very conveniently located, just a few minutes walk from the ferry jetty to Valetta. Two swimming pools are a great treat for the children! The mattresses were past their useful life and should be replaced. This is also true of the lounge chairs in the suite. Really great hotel and nice staff! If I'm coming back to Malta, I'll definitely stay at this hotel one more time :) There are also nice restaurants at hotel. Great place to stay, idealy situated for the surrounding towns providing you like walking. Good breakfast, nice roof too terraces & spa facilities. We ha a junior suite & the extra room was wonderful. Fantastic little pub round the corner serving great steaks.